Ride-sharing service puts emphasis on self-driving cars. An autonomous Otto truck like the one that hauled 45,000 cans of beer across Colorado last year. 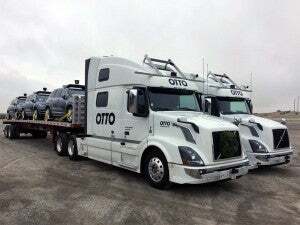 Just a week after it restarted its autonomous passenger car program, Uber has shuttered Otto, the division that was charged with developing self-driving trucks. The ride-sharing company says it wants to concentrate on developing the driverless cars and SUVs that could eventually lower the cost of using its services. But the decision to shelf Otto comes as Uber struggles with a series of setbacks, including not only the death of a pedestrian hit by one of its self-driving prototypes but also a legal battle with Google spinoff Waymo that saw a key employee accused of stealing critical intellectual property. Uber’s co-founder and former CEO Travis Kalanick was a big fan of autonomous vehicle technology. Proponents contend self-driving vehicles will eventually become safer than ones driven by humans, and that they will be able to make better use of crowded highways, reducing congestion without adding more roads. Self-driving services like Uber have another reason to want to get the driver out of the car. That is expected to drop the cost of providing a ride by as much as half, eventually making it less expensive to hail an Uber than using a personally owned vehicle. That has led some analysts to predict millions of motorists will shift to using ride-sharing service, the Boston Consulting Group forecasting driverless vehicles operated by companies like Lyft and rival Uber will clock a quarter of the miles Americans log on the road each year. The freight industry has similar expectations, hoping to slash the cost of delivering goods, especially as online shopping becomes more and more the dominant force in retailing. Trucking companies also face the challenges caused by a severe shortage of drivers. Uber decided to get into both fields with the 2016 acquisition of start-up Otto, acquiring it for roughly $680 million in 2016. In the process, it also got a team of veteran autonomous vehicle researchers led by Anthony Levandowski, formerly a top exec at Google’s self-driving program, which ultimately became Waymo. What Uber didn’t count on was the legal headaches that would follow. Soon after the acquisition, Waymo filed suit claiming Levandowski had absconded with thousands of files and documents covering its proprietary technologies, the Alphabet subsidiary considered one of the world’s leaders in self-driving technology. Uber denied the charges but faced a series of embarrassing setbacks in court and ultimately agreed to a settlement that gave Waymo nearly $250 million in stock. The agreement did not require Uber to admit guilt, however. An Otto autonomous truck hauling autonomous Uber vehicles. The lawsuit was just one of a series of legal setbacks and scandals that have hammered the ride-sharing service over the last several years – and which ultimately led to Kalanick’s ouster. Uber’s autonomous ride-sharing service has been at the center of several of those controversies. It shuttered a pilot project in San Francisco in late 2016 rather than comply with state requirements to obtain a permit. 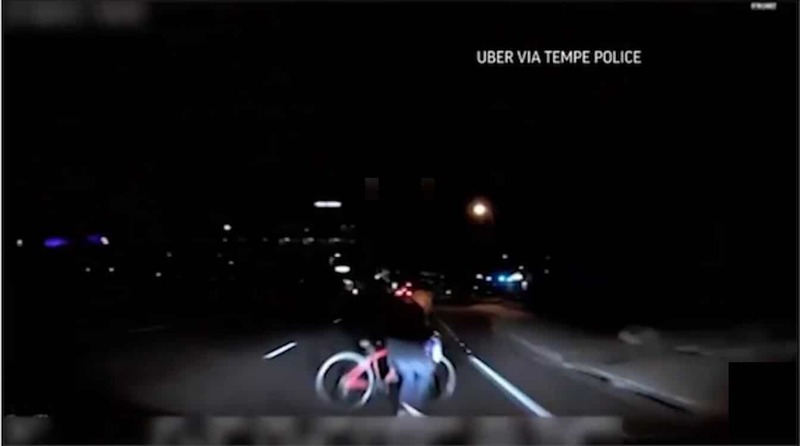 But the big setback came this past March when another self-driving prototype struck and killed 49-year-old Elaine Herzberg as she crossed a street in the Phoenix suburb of Tempe. Arizona’s governor revoked Uber’s authorization and the service cancelled its pilot program in that state, temporarily shutting down all testing on public roads. Earlier this month, however, it announced a restart in Pittsburgh, the same city where its autonomous research center is based. Some of the staff from Otto will now shift to that passenger car project, though others will be given severance, according to Uber. Meanwhile, the company will continue to run a separate program for independent truckers known as Uber Freight. 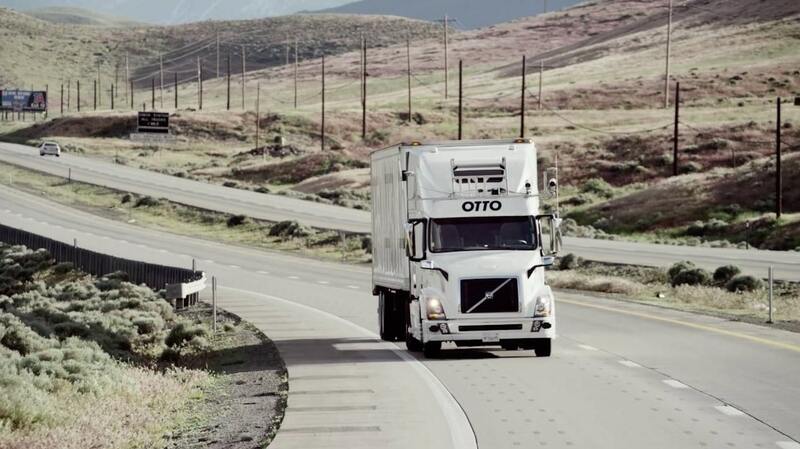 Otto made headlines around the world when, in October 2016 it used a self-driving semi-truck to deliver a load of 50,000 cans of beer in Colorado. Its demise won’t end efforts to develop autonomous trucks, however. Waymo has a division working on freight-haulers, as do a number of truck-focused start-ups. Some believe the potential impact of the technology on the freight industry could be as, or even more, significant than on the ride-sharing business. Not only would it solve the driver shortage and reduce freight costs but it could eventually allow platooning, where trucks travel mere feet apart on highways to reduce aerodynamic drag as well as congestion. This entry was posted on Tuesday, July 31st, 2018 at and is filed under Automakers, Automobiles, Autonomous Driving, Business, Driverless Vehicles, Markets, Ride-Sharing, Technology, U.S./North America, Uber, waymo. You can follow any responses to this entry through the RSS 2.0 feed. Both comments and pings are currently closed.